COLLEGE PARK, Md. 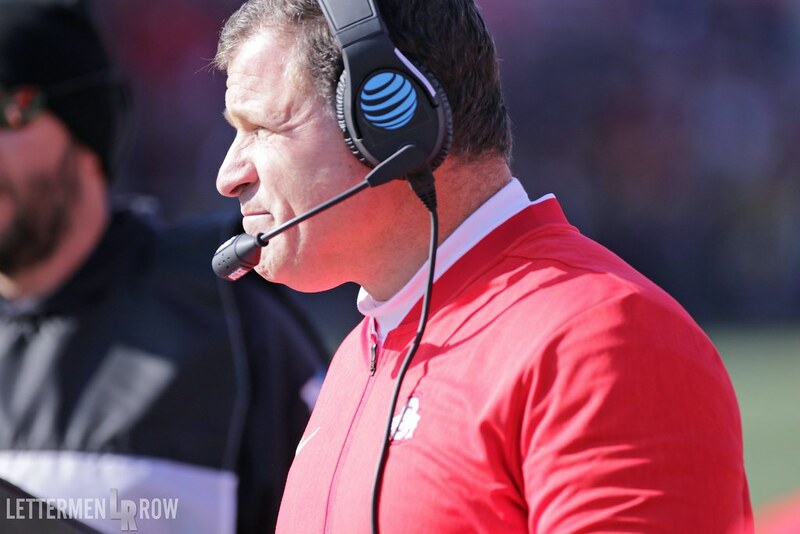 – Nothing has been easy for Ohio State this season. It didn’t get any easier on Saturday at Maryland. Maryland pounded the Buckeyes run defense for 339 yards — 298 of them on just 21 carries by true freshman Anthony McFarland — and almost pounded Ohio State into submission. Thanks to Dwayne Haskins and J.K. Dobbins, the Buckeyes didn’t fold. That pair led the Ohio State offense to 688 total yards, marking the first time in school history that the Buckeyes have had a 400-yard passer and a 200-yard rusher in the game contest. Haskins set two new school season records, for passing yards and touchdowns. And still, it almost wasn’t enough. The Buckeyes are running out of time to fix their beleaguered defense and struggled to come up with any answers throughout the contest. They got one stop when they needed it, though, and left Maryland with a 52-51 win in overtime. It was a beautiful day for football in College Park, even if both teams left their defenses at home. Lettermen Row was in attendance and has the sights from Maryland. Check them out in the gallery below. When the gallery loads, hover over the first item and then use your left-right arrows to scroll through photos. Can this unpredictable, inconsistent version of Ohio State win The Game?